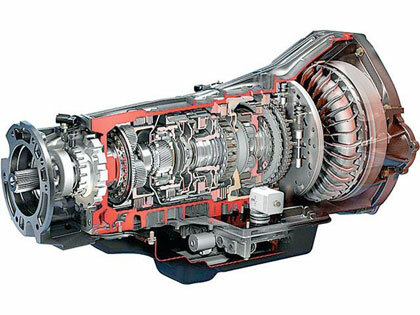 The Transmission is a highly technical part of the drive train system affecting vehicle mileage & performance. Because your car’s transmission is an essential component for your car, it’s absolutely essential that it undergoes maintenance as recommended by the vehicle manufacturer. You can find recommended transmission maintenance in your owner’s manual or the manufacturer’s website. Typical regular transmission maintenance items may include inspecting and adjusting the clutch pedal on manual transmission vehicles, and inspecting, topping off or flushing the transmission fluid in the transmission case for automatic and manual transmission vehicles. Many transmission repair specialists recommend checking your transmission fluid level at least twice each year. Check your vehicle manufacturer’s recommended maintenance schedule to determine if and when these services should be performed and remember to follow recommendations specific to more severe driving conditions such as dusty environments or regularly towing or carrying heavy loads. If your stuck in slick weather conditions, it’s best to call a tow truck. Trying to get your vehicle unstuck may cause transmission damage. Some transmission fixes can be quite inexpensive, while others may end up costing more than the value of the car itself. Transmission repair costs can easily range from a few hundred dollars to many thousands of dollars. That’s one good reason to have your transmission inspected by a qualified mechanic if you suspect something may be amiss. In manual transmission vehicles, one of the most common major repairs is replacing a clutch that’s become worn over time or damaged out by improper driver shifting. In all types of transmissions, sometimes an overhaul, rebuild or replacement may be necessary depending on the severity of the problem. When facing an expensive transmission repair such as a rebuild or replacement, vehicle owners should ask themselves a few questions. First, is the transmission under warranty? Many vehicle manufacturers now offer power train warranties that cover some, but not all, transmission components for as many as 100,000 miles or five years. Having a transmission repaired under warranty represents a much less expensive proposition. If a repair shop or auto service provider has proposed an expensive repair based on their sole diagnosis, it may prove useful to get a second opinion. With some transmission problems such as a issues that prevent the car from even driving, this may represent an extra expense in towing the vehicle to another location, so consider exercising this option judiciously. Call around to other transmission repair providers to get an idea of the cost range based on the prescribed repairs. Finally, if facing an expensive transmission repair, especially for an older, high-mileage vehicle, determine if you should repair the vehicle or replace it. The first step is determining how much repairs will cost. Next, find your car’s retail value by using car pricing tools available at websites such as edmunds.com, nadaguides.com or kbb.org. If the cost of the repairs greatly exceeds the value of your car, you may want to avoid repairing your transmission. On the other hand, if your car is in otherwise fair condition and transmission repairs can help ensure many more years of trouble-free operation, it may be wise to consider investing in repairs, especially if you want to avoid the effort of purchasing a new vehicle and making monthly payments. For most drivers, knowing if and when their vehicle has transmission problems can prove difficult. Other times, it’s obvious the vehicle is experiencing transmission trouble. If you experience any of the conditions noted below, it’s a good idea to have your vehicle inspected. These are signs of auto transmission problems that you can’t ignore. Delaying needed repairs or services will only make the problem worse. Yes, this is an ambiguous description, but there are a wide range of indicators that you need an auto transmission repair. One of the most common yet subtle signs of needed transmission repair is when the transmission slips or hesitates; while driving, you press on the pedal and the engine revs up, but there’s no corresponding increase in speed or a hesitation between when you push the pedal and the vehicle speeds up. This can happen particularly when first starting the car on a colder morning for the first time. If you drive a manual transmission vehicle, you may notice that moving the gear shift into or out of gears becomes extremely difficult. For automatic transmissions, the reverse gear may go out or the vehicle may slip out of gear while driving, causing the engine to roar. Along with improper operation, another indicator of a failing transmission can be strange vibrations or shimmying sensations when driving. If you notice a strange vibration, especially at one speed or speed range in particular, it can indicate the transmission or a transmission component needs to be repaired or replaced. Transmissions in modern vehicles rely heavily on electronic controls and systems. If you notice a warning light flashing on your instrument cluster — especially a light that says “O/D,” which indicates the “overdrive” gear — the vehicle’s on-board diagnostic system has registered an error with the transmission. P0700 is a code that can indicate a general transmission problem. If and when a noise accompanies your vehicles shifts, such as a clunk or thump, it’s a sure sign there’s a serious error with the transmission that requires immediate attention. If you drive a manual transmission vehicle and notice a grinding noise, it can indicate the clutch gear is no longer disengaging correctly. Like your car’s engine, the transmission operates at high temperatures and without the correct amount of transmission fluid to lubricate it; the transmission can overheat and fail. You may notice a strange chemical or burning smell when the car is operating. Transmission fluid is absolutely essential for proper transmission operation. If you notice brown, red or pink puddles or leaks under your vehicle, it could be a transmission leak from a faulty gasket or seal. Knowing when to change transmission fluid helps avoid costly repairs. Experts say to flush the fluid at 60,000 to 90,000 miles and again at 120,000 to 150,000 miles, or when the fluid changes from a pink to a dark red or brown. Auto transmission fluid exchange has been known to correct shifting problems and delayed engagements. If you didn’t notice a leak, but a auto repair shop says you need a fluid change, ask them to show you and explain why. Transmissions problems are costly repairs, so take preventative measures by knowing how to protect your car from transmission damage.